We have been working with OCR technology from over a decade. Its functionality has taken quite a number of giant leaps and it took no time for it to be available for smartphone too. Searching for OCR apps would give you innumerable results. Out of that endless list, Text Fairy grabbed my attention within a few seconds, and after installing it on my device it has given quite a satisfactory result. Till now we have seen most of the word processors exporting documents into a PDF format that will have text elements which would even have text searching feature in them. But we don't get the same functionality in a PDF writer or a scanner as it will only create an image of the page along with a PDF wrapper and it would not be able to create a text-searchable PDF file in it. As a result this image-only PDF could not be exported as a text file through the Adobe Acrobat Reader or any other similar software unless we use Optical Character Recognition (OCR) . Without the help of OCR technology, one has to re-type a document manually character by character, which is clearly a waste of time in these days. 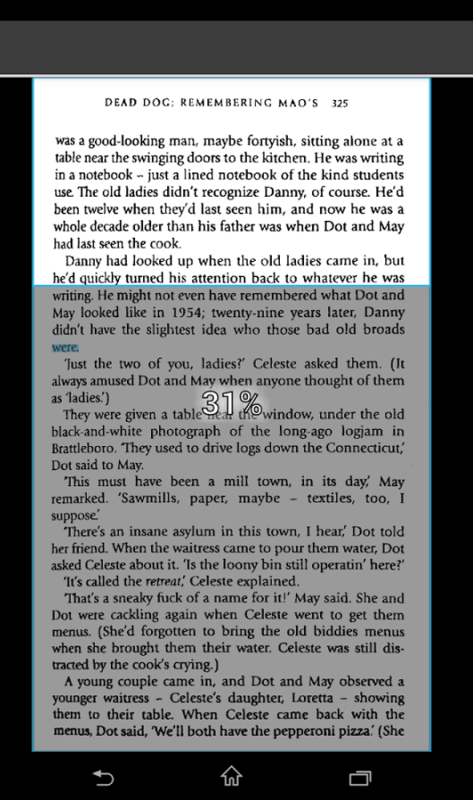 Switching to OCR would be beneficial in every way, as it can convert the non-searchable printed text into a machine-readable one which could be searched as well. Text Fairy from Renard Wellnitz stands to be to be one such app that has all the major OCR features at place. It is available for Android all devices. It can scan an image and rectify the angle if it doesn't come out well. It converts a text image into a machine readable one. So with Text Fairy loaded in your device you are free from the strenuous task of typing loads of pages. The app is expert in Converting any scanned page into a PDF format. 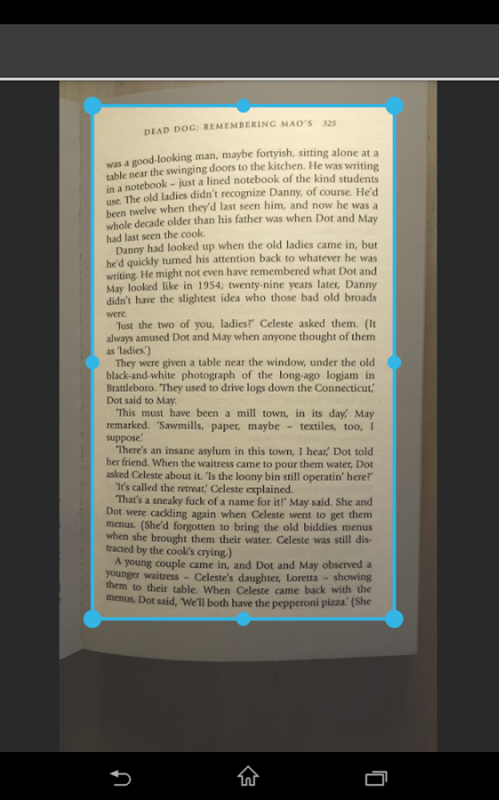 With Text Fairy you can even edit the text you have extracted. 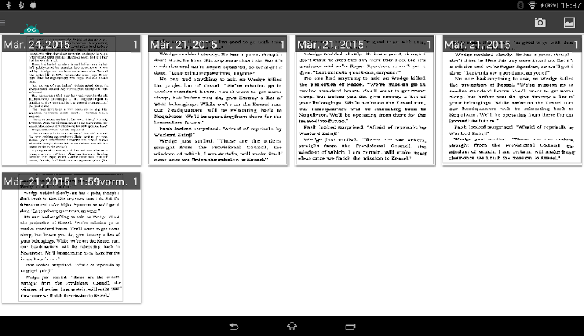 Henceforth you can copy that extracted text to your clipboard for further usage. The app is able to Recognize printed text from 50 languages and more. The App is free from ads. Using Text Fairy is fairly simple. All you need to do is take snaps of the printed documents from the app itself, as this app has the feature of scanning text from images on the device and it can even scan text from the photos that are taken by the camera earlier or at that moment. Next, you would find the app start recognizing text just within a few seconds. Once done you can now use the text in several ways either by copying it to the clipboard or by directly exporting it into a PDF file. And now all that becomes text-searchable. Open the Text Fairy App in your device. If you have to take a snap that isn't already there on your device, then press the camera button. Once the camera is ready, frame the document on the screen to take a snap. After getting more or less the correct angle, tap the screen and take the snap. The image will now appear on the screen, if you find it clear and fine, click on the check button. Now frame the text in the best possible position with the correct viewpoint. Now click on the right-pointing arrow. Here you have to select the number of columns containing the original text. Choose the language of the document. The OCR will take a few minutes to finish its , once ready, you are free to use the text in whichever way you want it. You can even choose to create a searchable PDF file with the help of this app and store the layout in the same form as it was in the original document. Once you complete a scan, a thumbnail will appear in your workspace. From there you can choose a thumbnail you want to work upon and then you can edit any text in it as per your convenience. If you touch and hold a thumbnail it will allow you to rename it, and continue to scan other documents to add with it. The images have to be sharp with enough light exposure. The text needs to be of black color on a white background. The app supports two languages by default English and German. For other languages, you need to tap the menu placed on the upper left corner and tap Add Language. A list of languages will appear, tap the download button of the language or languages that you want to add. There are more than fifty options and they are going on adding more. It takes minimal time to recognize texts from the scanned or printed documents. It can create a text-searchable PDF and makes the text machine readable for further usages. The app has support for more than fifty languages. It doesn't irritate you with ads. The app is not yet ready for recognizing Handwritten texts, blurry images, and texts with colors other than black and white. The other flaw of the app is that the edited text in this app could not be used as a search term in the output PDF. 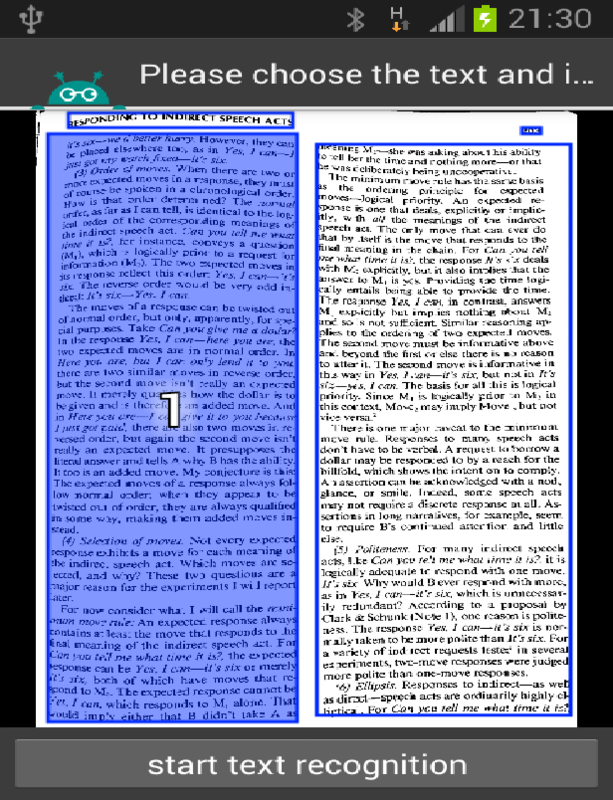 It appears that the text editing and PDF creation are yet not interlinked. I found the Text Fairy App to be an efficient tool that recognizes and restores text from documents that are important to you. It reduces the task of heavy typing and reproduces the text in a machine readable format, that you can use in several ways.